You are here: Home / News / Events / New BOY show for adults premiering at the Brighton Fringe this week. New BOY show for adults premiering at the Brighton Fringe this week. 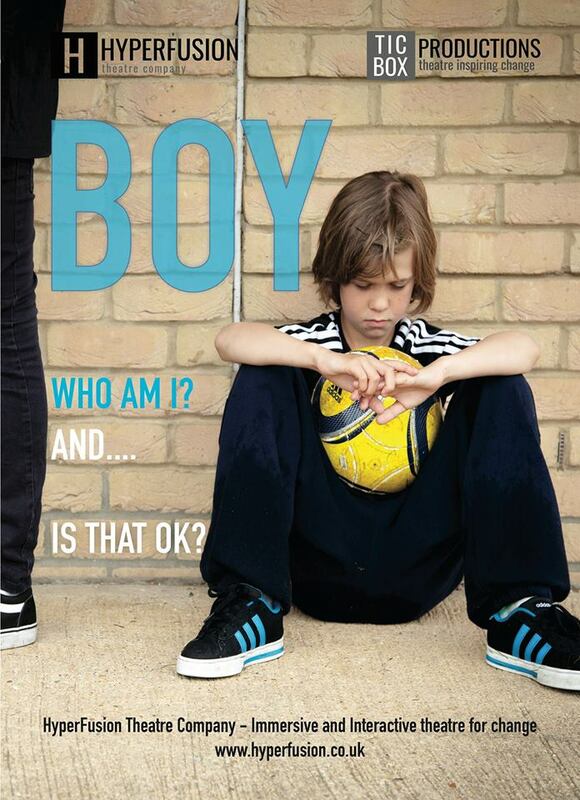 BOY is growing up and very excited to be heading to the Brighton Fringe with a new adaptation. Our award winning show with the same honest and powerful look at the effects of homophobia but this time targeted to an adult audience. The show will be premiering at The Old Court Room on 1st & 2nd June 2018. Performances at 2.30pm & 9pm on the Friday and 9pm on the Saturday. https://www.hyperfusion.co.uk/wp-content/uploads/2018/05/BOY-Poster-Hyperfuson-TIC-BOx-Productions.jpg 960 696 Sarah Ellis https://www.hyperfusion.co.uk/wp-content/uploads/2019/04/Hyperfusion-TICBOX-Home.png Sarah Ellis2018-05-24 12:33:022019-01-09 13:21:28New BOY show for adults premiering at the Brighton Fringe this week. Our Artistic Director is 1 of 100 women invited to talk about feminism on Sky... Vote for us before Friday for a National Diversity Award please.